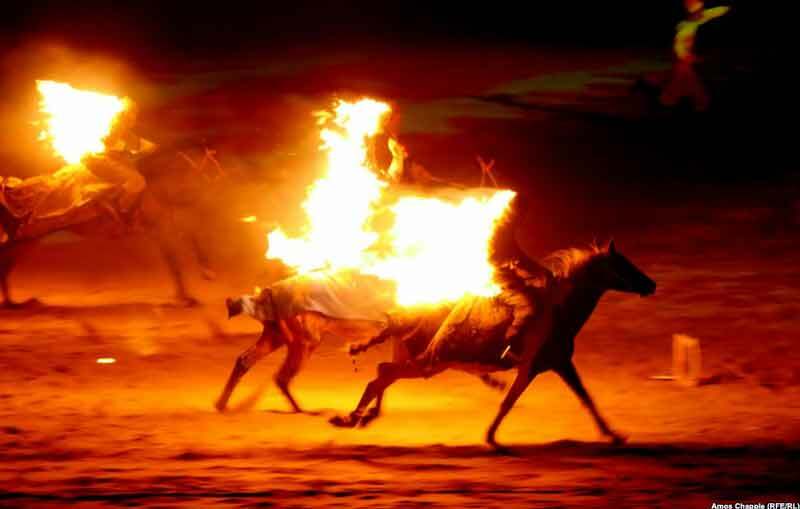 “A sporting event like no other is taking place in Kyrgyzstan this week. 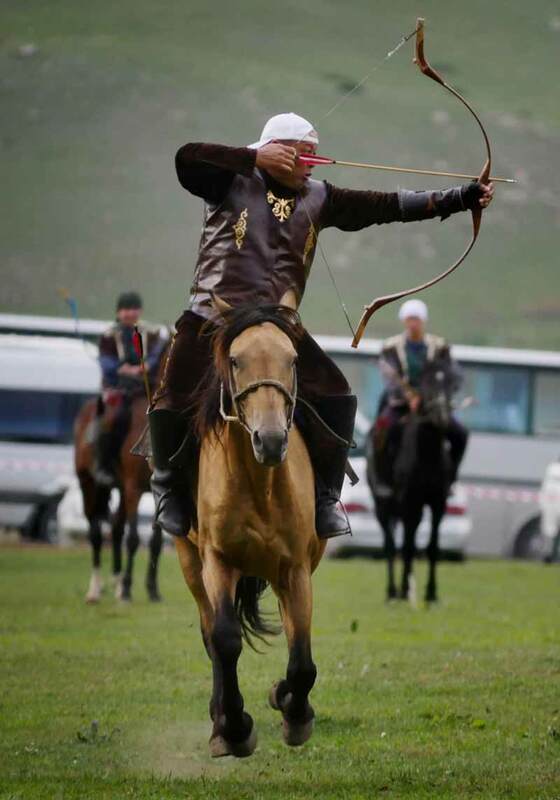 The second World Nomad Games has attracted competitors from more than 40 countries, for six days of events in 23 ancient sports unique to Central Asia.” Events include eagle hunting, mas wrestling and horseback archery, where riders shoot at a target while at full gallop. 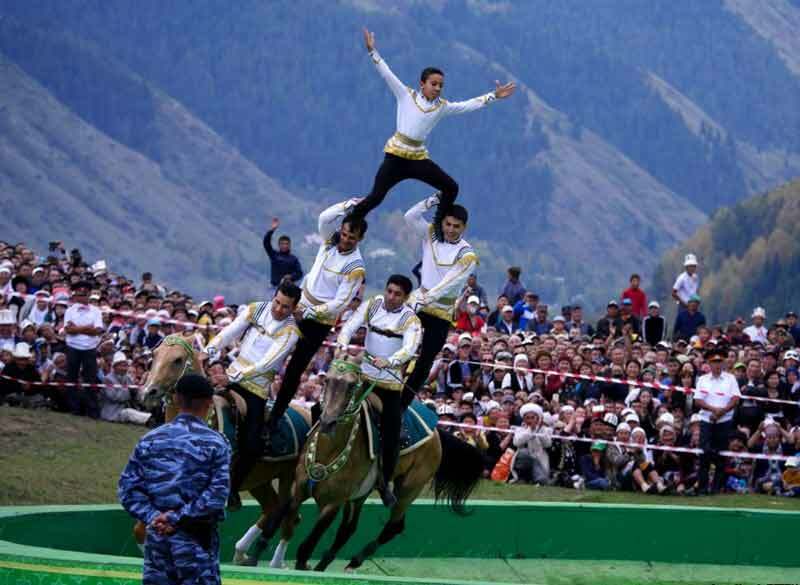 From the opening ceremony of the World Nomad Games. Contrast this with the opening ceremony at the summer olympics in Rio. Photos by Amos Chapple for Radio Free Europe/Radio Liberty vis PRI The World.